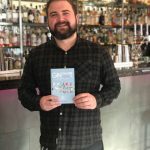 It’s the fabulous new book on Scottish Gin (our favourite subject) from Sean Murphy. 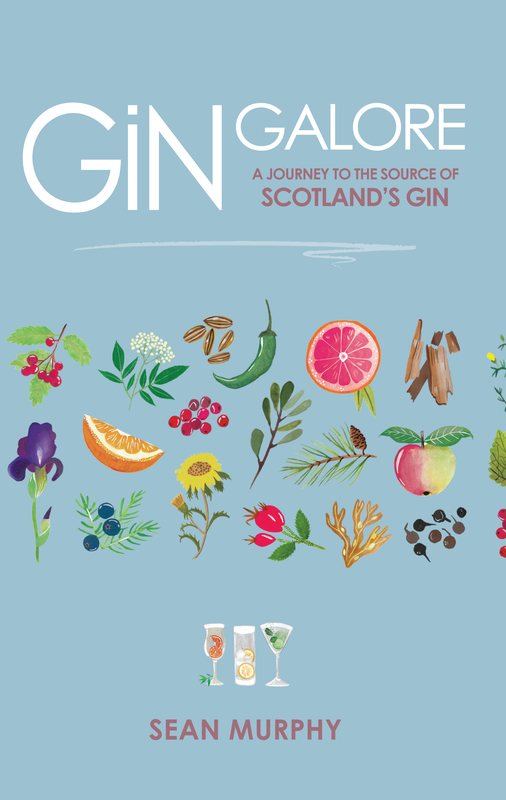 It’s on sale now and is a must-read for any Scottish Gin lover. We were lucky enough to get a copy and it’s something we just can’t stop picking up. 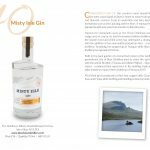 Gin Galore is a beautifully designed hardback and contains gin facts, tasting notes and recipe suggestions for 50 Scottish Gins, so that should keep us going for a while. You’ve been writing about gin and spirits for a while now, so what inspired you to publish your beautiful new book on Scottish Gin? I’m a people person and the stories behind these gins and the people who produce them needed to be told, and being a writer by trade I had the perfect excuse. Plus it was an excuse to try lots of great gins! From visiting numerous Scottish Distilleries, we have found that no two are the same – did you have any especially weird or wonderful experiences when researching the book? I found the sheer amount and variety of producers around Scotland incredible and loved that when visiting Caorunn and Avva in Speyside, both had this lovely juxtaposition to the whisky distilleries that surrounded them. I mean you’d have struggled to find them unless you knew where to look but when you do, both are just incredible (and divergent) examples of what’s possible when people are passionate about making something. 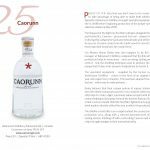 You’ve listed 50 Scottish Gin brands in your book – how did you go about selecting who would make it in? I had some help from people like your wonderful selves in terms of who I should include (and who I actually could in terms of fitting my criteria for Scottish gins) and thanks to my job I come across new gins almost every couple of weeks and that’s still happening, so I’m not lying when I say that I could another ten or so gins and producers to the book quite easily, maybe I’ll save them for the next book. Each of your featured gins has a suggested cocktail – what do you prefer – cocktail or G&T? I actually prefer gin neat with a bit of ice and maybe a slice of lime but that’s what comes from a background in whisky. Honestly, when it comes to gin I’m not really fussy but I love to discover new mixers and styles of G and T, and let’s face it when it comes to cocktails – in the right hands, they can often be magical in terms of discovering new flavours. So long as I’m in good company I’ll take my gin as it comes. With the ever-growing numbers of Scottish Gins available, can you see the industry reaching saturation, where there are too many gins for people to choose from? No, not really, I mean of course eventually there will come a point where there will be a plateau, but if you look at the last two decades of Scotch whisky (and beyond) there’s been thousands of new expressions released and no one seems to have grown bored of that category yet (thank god). So, I imagine that as long as people are making good liquid and sticking to their guns in terms of provenance and sustainability, I think it can grow for a while yet. What do you think people really care about when it comes to choosing a gin? In all honesty? It can be anything from the packaging to the story to the quality of the liquid and I think that’s the beauty of it, everyone is different and so long as they continue to drink the stuff and enjoy it, long may it continue. Do you see Brexit as a threat or opportunity for the Scottish Spirit industry? Threat, I think Brexit is a massive threat to a lot of things, but I’m hoping that I’ll be proved wrong on that account and that it may open up opportunities for the sector. To be fair, I think the lack of clarification may be a bigger threat, I think it’s important that people know where their gin comes from and how it is made. Finally, do you have any thoughts on the future of the gin industry in Scotland – what trends can you see emerging for the future? I think it’ll continue to grow and I hope that Scottish grown juniper gets the protection it needs and that people will work towards making our crops here more sustainable and rebuilding the levels of mature plants to the previous levels we have had in the past. I also think that new styles of mixers will take off, many people don’t like the flavour of tonic water and it can prove a barrier to people entering the category so I think new styles of mixers will come into fashion. Gin tourism is continuing to grow and I can only see that becoming huge over the next few years with people seeking experiences over material items. The growing desire to learn more about the provenance of certain products will also help this too. Gin Galore is available to buy here or from a variety of retailers, including Amazon and Waterstones.